If you think that you don’t need SEO Services, then you are misleading yourself. As most people depend on search engines to find the services and products they need, SEO Services are obligatory for almost every business in every industry. 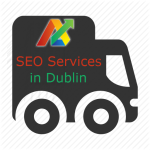 We provide the Best SEO Services in Dublin. So, whatever is your business, whatever your online presence, no matter what you are selling, and no matter whether you’re selling on a local, national, or even global level, SEO has to be an inseparable part of your marketing efforts if you want to succeed. As a specialist provider of the Best SEO Services in Dublin, we understand that getting SEO right can be tricky, because the major search engines keep altering their SEO algorithms – and if you get it wrong, you could end up doing more harm than good. This is where we can help, by offering the kind of effective SEO Services, which businesses are looking for. Keyword Research: Keyword research can be considered as the foundation stone of any successful SEO campaign. Hence, picking the right keywords is fundamental from the start. We suggest you use the terms your potential end-users are using to find services or products similar to yours. On-Page Optimisation: If you want to rank in the SERPs (Search Engine Results Pages), then correct on-page optimisation is crucial. We can ensure that pages tell the search engines what they’re about, in the most relevant way possible. We don’t over-optimise any pages though, as this can lead to penalties. Quality Content Creation: Content is King; hence, we don’t compromise with the quality of the content we create for our clients. Content we create is high-quality, industry-relevant, informative, useful and simple to understand. We don’t forget to use the relevant keywords. High Quality Link Building: Gaining links from websites with authority and trust can help you dominate the search results. Our SEO experts in Dublin ensure that your website develops a high quality, natural-looking link profile, for long-term rankings. Google Webmaster Tool: Google’s Webmaster Tools offer a source of beneficial information about your website’s presence over the web. Furthermore, we ensure its set-up is perfect to help you make most of the useful information. Google Analytics: Google Analytics is the most vital source of information about the web traffic your site receives. We ensure its proper set-up and educate you about how to make better decisions using the available statistics. Social Media Marketing: Overlooking the importance social media marketing can prove fatal for your business. Social media marketing is an integral part of SEO. We help you set up a dynamic social media presence on all the major social media platforms such as Facebook, Twitter, Instagram, etc., and help you make the most of social media marketing. Social media is necessary for brand awareness and to improve your relationship with your customers. Local SEO Services in Dublin: Local SEO is extremely important if you are a small business and area-confined. Optimising web pages to rank well for local searches is about more than just building links. Our Local SEO experts know the techniques that are required to make your website visible to your local customers. What is 3 + two?